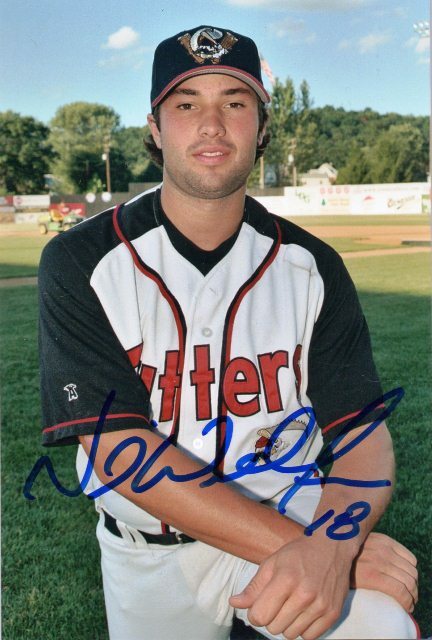 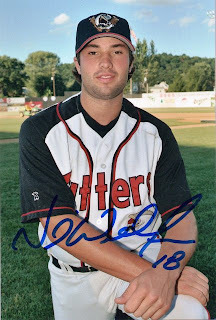 I bought a 4x6 photo of Pittsburgh Pirates second baseman Neil Walker as a minor leaguer on eBay five or six years ago and got it signed - Walker is having a fine year as part of an upstart Pirates team looking to have a winning season and get into the playoffs for the first time since 1992. I don't know what to say to praise Mike Trout even more - there maybe veteran position players like Albert Pujols and Torii Hunter, but they've been pushed aside as complimentary pieces as Trout has thrived as a superstar in his first full season in the Major Leagues. 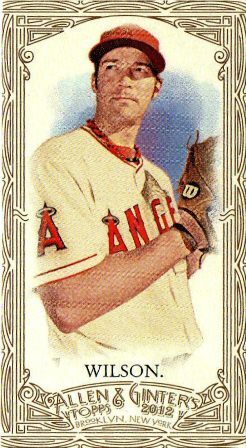 However, the Angels pitching staff [minus Jered Weaver, Ernesto Frieri and maybe Scott Downs] needs a lobotomy - there is no better feeling than knowing even if the Angels' lineup scores a good number of runs [with Trout igniting the lineup] early in a game, the Angels pitchers trotted out on the mound will probably blow the game eventually. 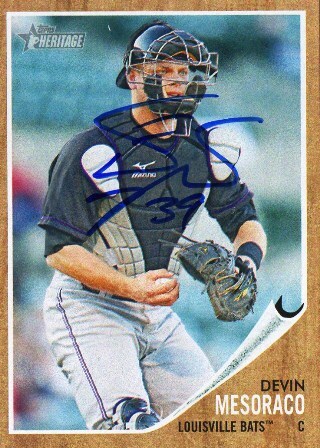 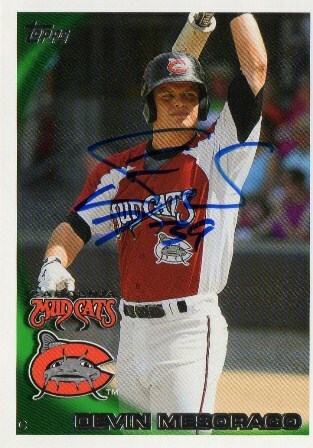 Devin Mesoraco c/o Cincinnati Reds [spring training] - the Reds rookie catcher signed my two cards, including a 2011 Topps Heritage 'setter.' 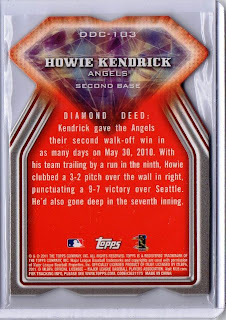 I sent the request on 2/22/12 and my SASE with my cards signed snuck into my mailbox probably two or three days ago, on 8/15. 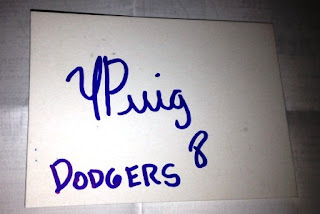 Yasiel Puig is a Cuban outfielder baseball pundits knew little about when defected - because the organization can, the Los Angeles Dodgers still gambled and signed him to a $42 million, seven year deal to see if he can be an All-Star talent once he gets to the Major Leagues. 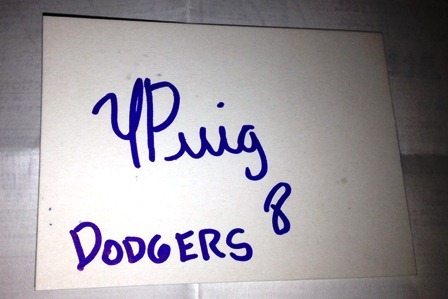 He made his Single-A debut for the Dodgers' California League team in Rancho Cucamonga last Tuesday night and I got his autograph - the autograph isn't great but he put his number '8' and put 'Dodgers' on my dummy card. 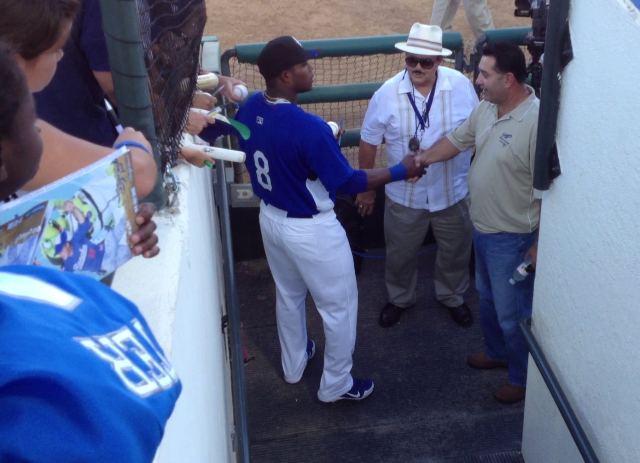 Before the game, Puig signed for about 10 minutes and then warmed up by himself out in left field for about five minutes, before running back into the dugout as the game was to start - obviously he speaks little English, but he was accomodating otherwise. 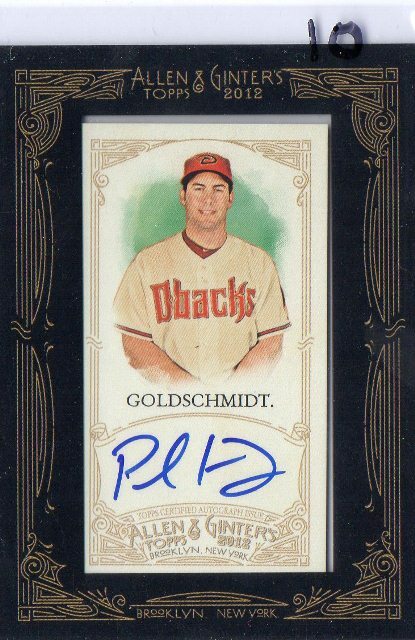 I picked this 2012 Topps Allen and Ginter's autograph card of Paul Goldschmidt as an impulsive purchase from a card shop for $10 - he is having a good sophomore season and I've never gotten his autograph in-person. 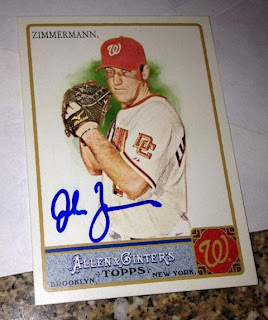 Jordan Zimmermann c/o Washington Nationals - maybe an unheralded pitcher in a starting rotation that maybe the best in the National League in 2012, Zimmerman signed my 2011 Topps Allen and Ginter card in blue Sharpie and didn't return the other card I sent; this request took about a month. 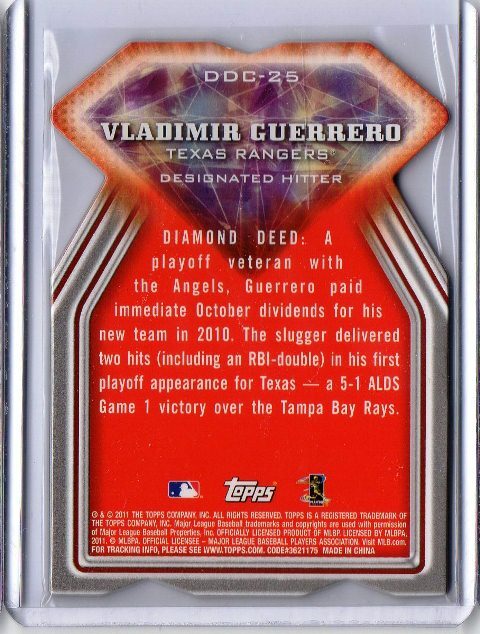 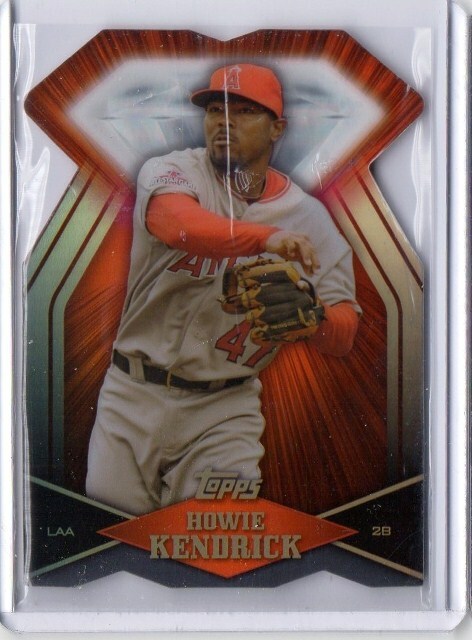 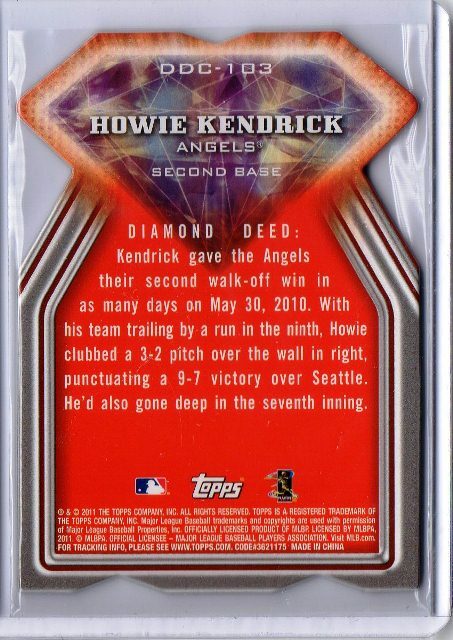 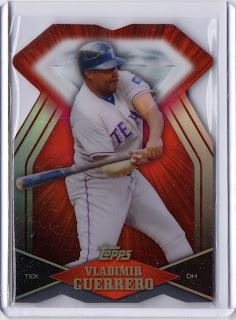 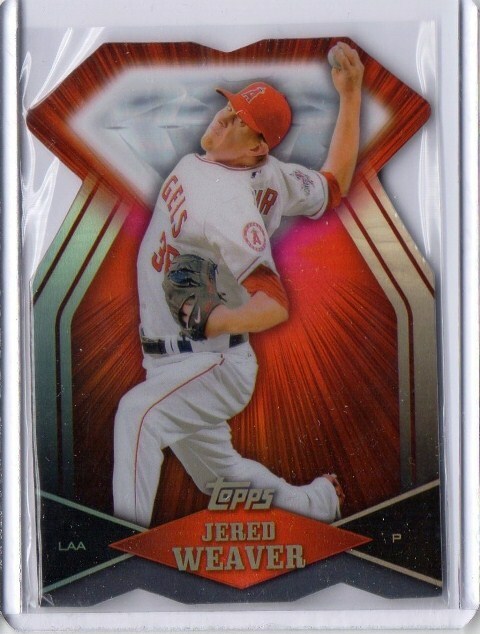 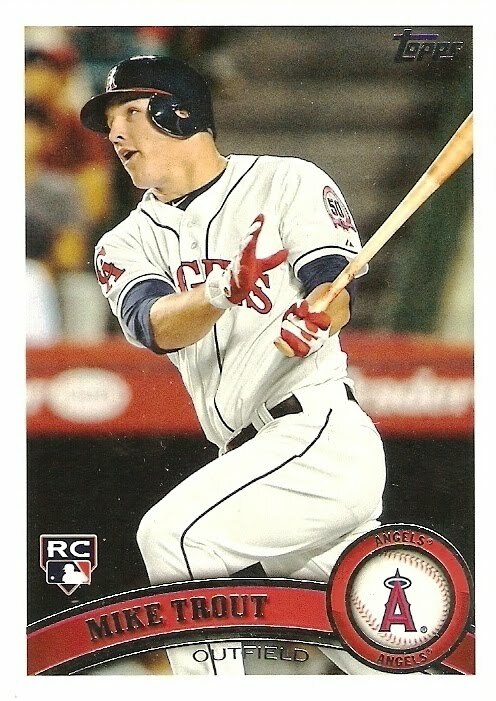 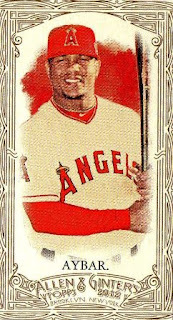 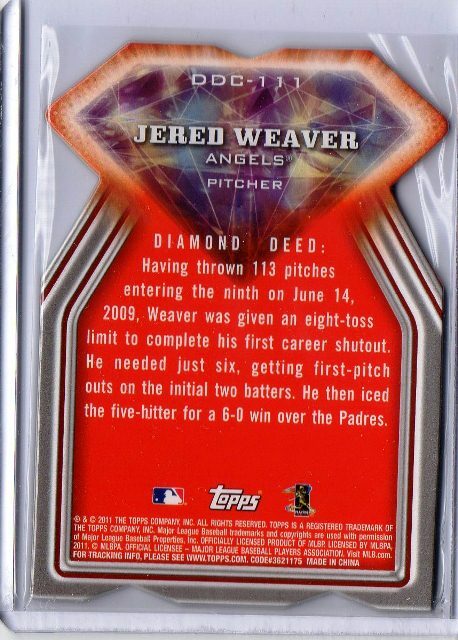 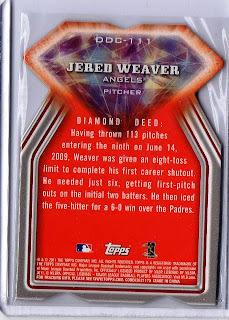 I had 25 of 28 cards shipped through the 2011 Topps Diamond Giveaway Web site for about $16 - the highlights were probably the three die-cuts; the rest are cardboard curiosities that I had delivered for whatever reason. 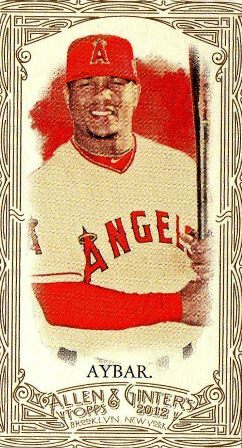 The oldest Topps card in my Diamond Giveaway collection was from 1959 and the newest non die-cut was from 1985 - the three cards I didn't get shipped included a 1982 Topps John D'Acquisto #58, a 1987 Topps Don Sutton #673 and a 1988 Topps Kirby Puckett All-Star subset card #391.